Those of us who study, restore or would like to live in an Olde English Home may already have some grasp of their essential design elements. 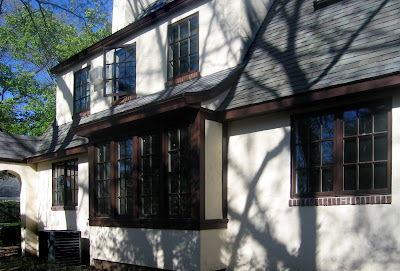 This has not stopped us from often wondering why so many modern homes lack the charm, proportions or design quality of the real thing—or even of well-designed revival houses. 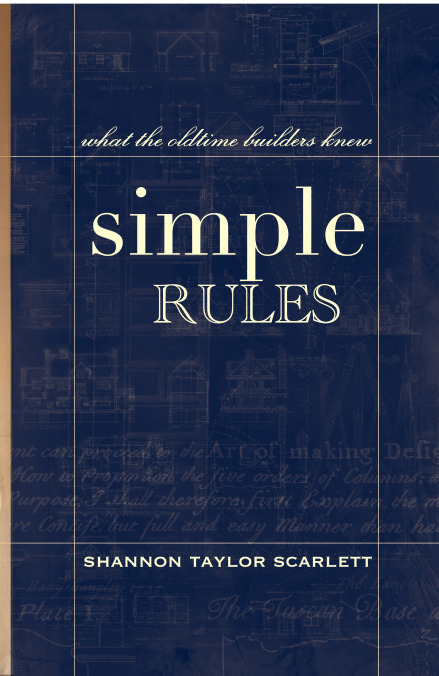 For those who are still wondering, or who may be considering a building or remodeling project, I would recommend architect Shannon Taylor Scarlett’s Simple Rules: What the Old Time Builders Knew, a compact volume of observations, quotes and drawings that help put these design issues in perspective. I was fortunate to download the Kindle version some time ago (it is just $4.99) and was happily rewarded when I recently rediscovered it during a few idle moments on my iPhone. This brief review of design principles—it is just a little over 100 pages—provides a helpful foundation for those who are interested in traditional approaches to design, or who would simply like to unlock the mystery of “why so many older buildings look better.” Scarlett’s book makes it clear that it’s not just a matter of appropriating a classical door surround, throwing some half-timbers onto an exterior wall, or tarting up a builder tract house with some Victorian trim work. The book is highly recommended as a handy reference and a helpful guide to understanding some of the basic elements of “curb appeal.” It’s also available in print from Barnes & Noble.